Although Opera lags behind the internet browser’s market share race, I must agree when it comes to speed & page loading it’s the best browser. 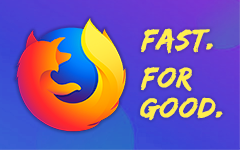 I had been using it for 2/3 years; until firefox 1.5 released. Opera’s click gesture was one of the most innovative new feature among the browsers back then… & Now we see this video. This entry was posted in Uncategorized and tagged april fool, browsers, firefox, opera on April 1, 2009 by Johny.